These films arose from Yamaha’s desire to tell a beautiful story about the process of making a beautiful instrument. For over a century, artisans at Yamaha’s workshops in Japan have been building pianos for the world’s leading artists. Divided into four chapters based on the four elements – Earth, Air, Fire, and Water – these lyrical films are the story of how natural elements merge with human insight to create instruments of surpassing beauty and precision. 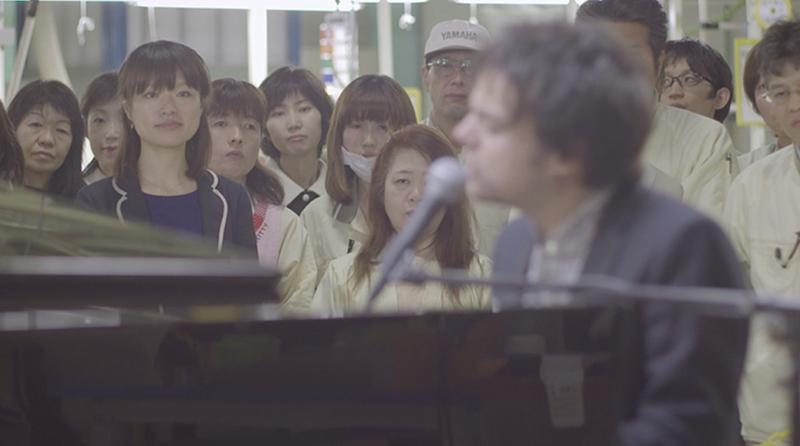 In Japan for a series of concerts at Tokyo’s Orchard Hall, jazz artist Jamie Cullum visits the Yamaha factories to meet the craftspeople who make every instrument he plays. Weaving throughout the films, his journey from factory to concert hall reflects the journey of the instrument itself, from raw elements to performance.